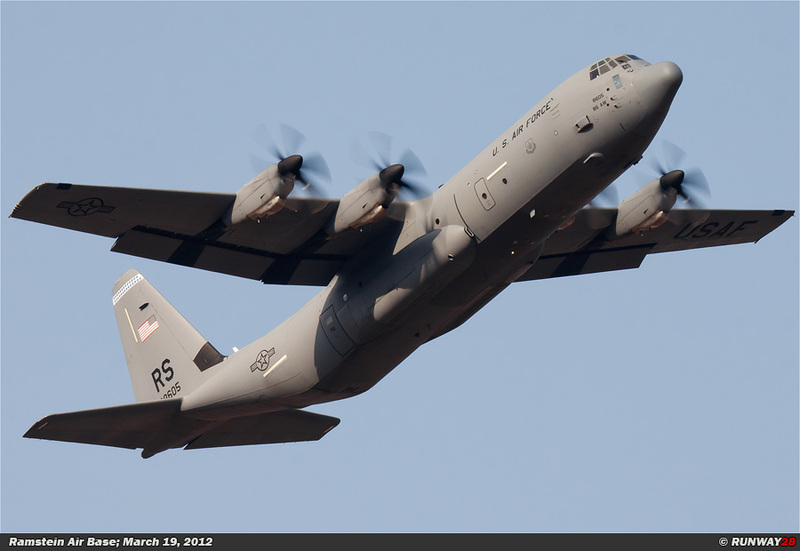 The C-130 Hercules is the workhorse of the USAF. 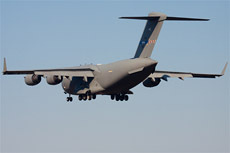 The aircraft is based at Ramstein Air Base since 1994. 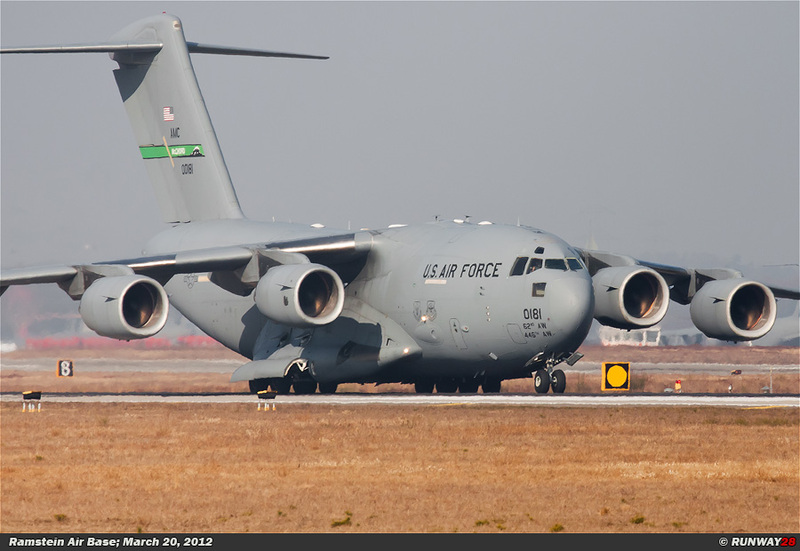 The C-130 is here assigned to the 37th Airlift Squadron. 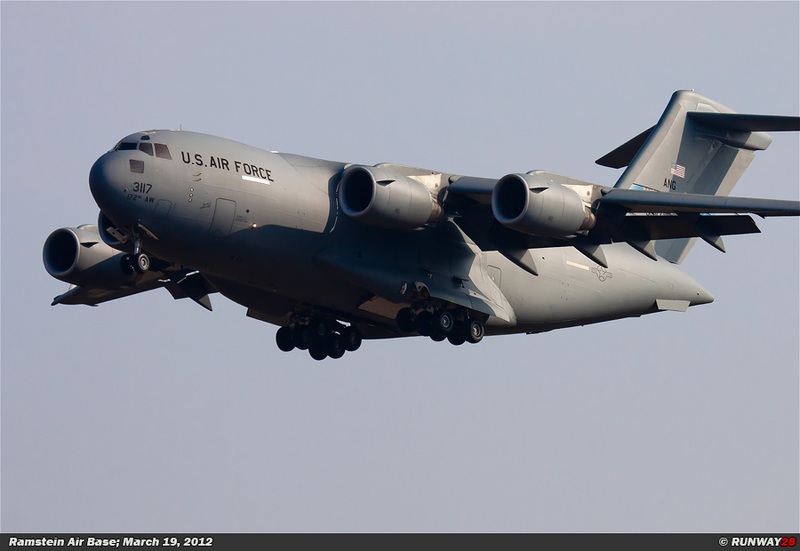 The Hercules is used for the medium and heavy transport task within the USAF since the 50s. 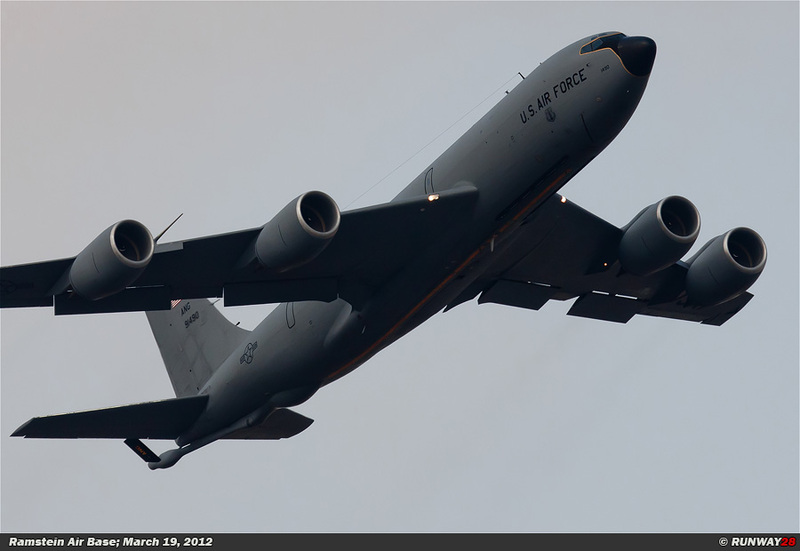 The 37 AS has 14 Hercules aircraft at Ramstein Air Base. 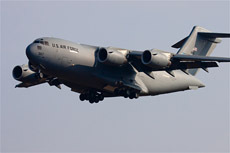 The 37th Airlift Squadron (37 AS) is part of the 86th Airlift Wing (86 AW) at Ramstein Air Base in Germany. The unit flies the Lockheed C-130J Super Hercules. 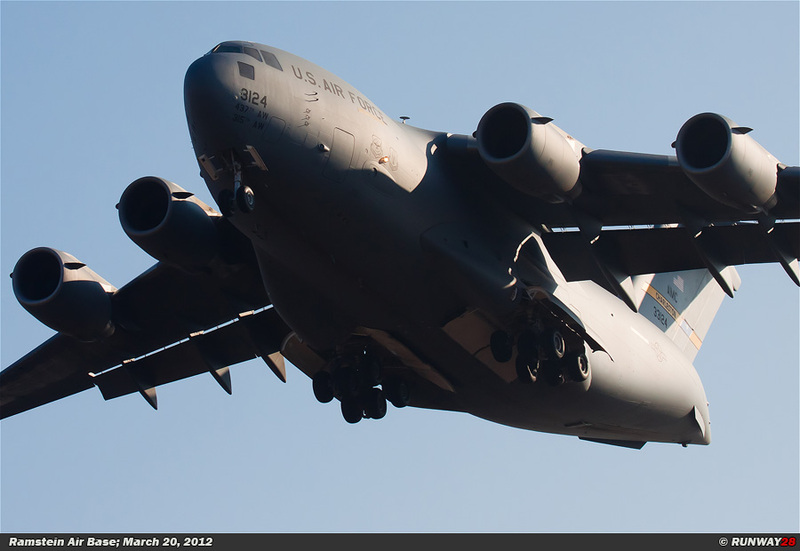 The tasks of the aircraft are; airlift duties, medical evacuation missions and para dropping. The 37 AS was founded in June 1942 as part of the 1st Air Force at Patterson Field in Ohio, USA. 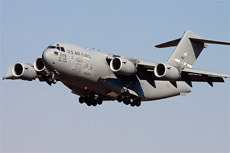 The unit was there assigned to the 316th Troop Transport Wing. The squadron was equipped with the C-47 Skytrain in 1942. The unit moved more than 6 times to a different location in 1942. The unit was stationed in Egypt in November 1942 as part of the Royal Air Force Western Desert Air Force. The squadron was moved to this location on order of President Roosevelt himself. 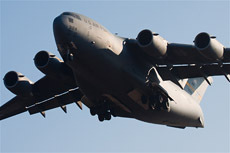 The unit was assigned to the 9th Air Force in Cairo. The 37 AS was used for evacuating the casualties of the British Eighth Army. 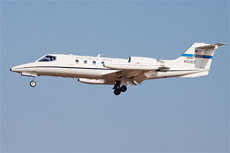 This unit operated from various airports in the desert of Egypt and Libya. The unit was re-assigned to the USAAF 12th Air Force in Algeria during the Tunisian campaign in May 1943. Also a major training was started as a preparation for the invasion of Sicily. Paratroopers entered this area during the night of July 9, 1943. The 37 AS dropped also reinforcements over Sicily on July 11, 1943. The unit received the DUC award for carrying out the mission under heavy enemy fire from ground and naval forces. The unit was involved in the campaign until 1944. The squadron was then assigned to the 9th Air Force in England. The unit was a part of the build up of forces as preparation for the invasion on D-Day in June 1944. The C-47 Skytrains of the 37 AS dropped paratroopers in Normandy near St-Mare-Eglise. The squadron towed also gliders behind their aircraft over the English Channel during D-Day. These gliders landed behind enemy lines during the operations. After the invasion, the squadron was deployed in the United Kingdom for various supply missions. The unit transported food, medicines, fuel, ammunition and other supplies to the frontlines. Also, patients were evacuated to hospitals on safer ground. Also during Operation Market Garden were paratroopers and gliders transported by the 37 AS to their targets. 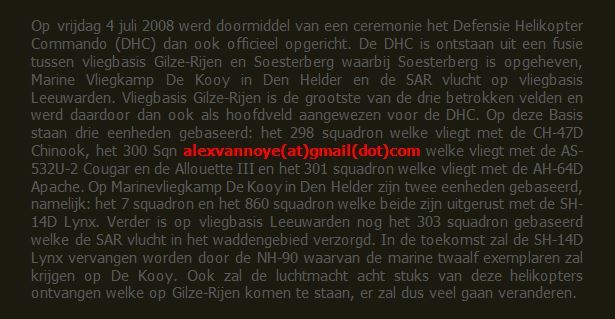 The ground units were dropped in Nijmegen in the Netherlands. The squadron provided support to the 101st Airborne Division in Bastogne during the Ardennes Offensive in December 1944. After the Second World War, the 37 AS moved back to the United States. 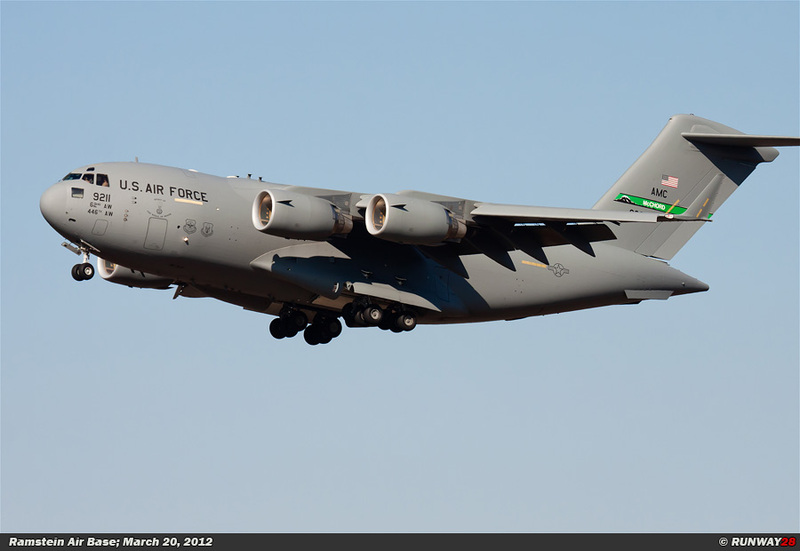 The unit became a national Troop Carrier Squadron for various Continental Air Forces. During the Korean War, the 37 AS flew various transport missions to Sukchon and Munsan-ni during heavy air raids. The 37 AS flew several missions to Hanoi in 1973 during Operation Homecoming. 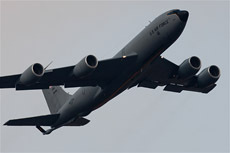 The unit was deployed in Taiwan for these missions. This operation consisted of transporting prisoners of war who were released to the U.S. base Clark Air Base in the Philippines. After several deployments in Europe, the 37 AS was permanently based in Europe on October 1, 1977. The 37 AS was stationed at Rhein-Main in Germany. 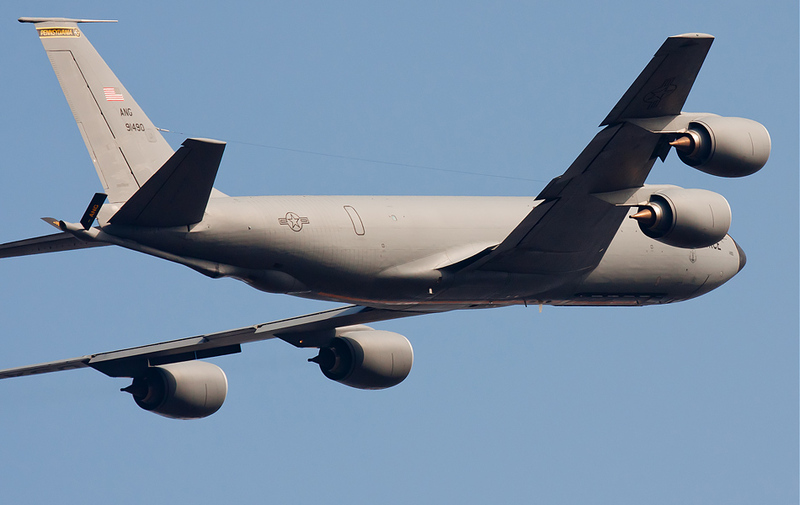 The squadron was assigned to the 435th Tactical Airlift Wing. Hercules aircraft of the 37 AS were used in the airlift to Kuwait on August 14, 1990, during Operation Desert Shield. Even Kurdish refugees were helped with droppings in the northern part of Iraq in April 1991. 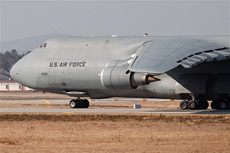 From October 1, 1994, the 37 AS was moved to its current home at Ramstein Air Base. The 37 AS was repeatedly deployed to perform airlift missions in Bosnia and Herzegovina. 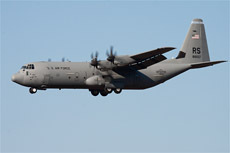 In November 2009, the 37 AS exchanged its last C-130E Hercules for the newer C-130J-30 Super Hercules. 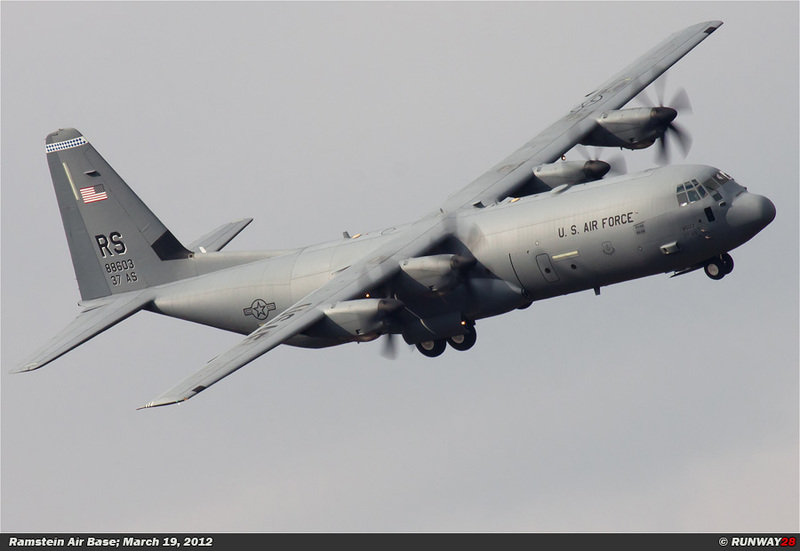 The Lockheed Martin C-130J Super Hercules is a four-engine turboprop transport aircraft for military use. 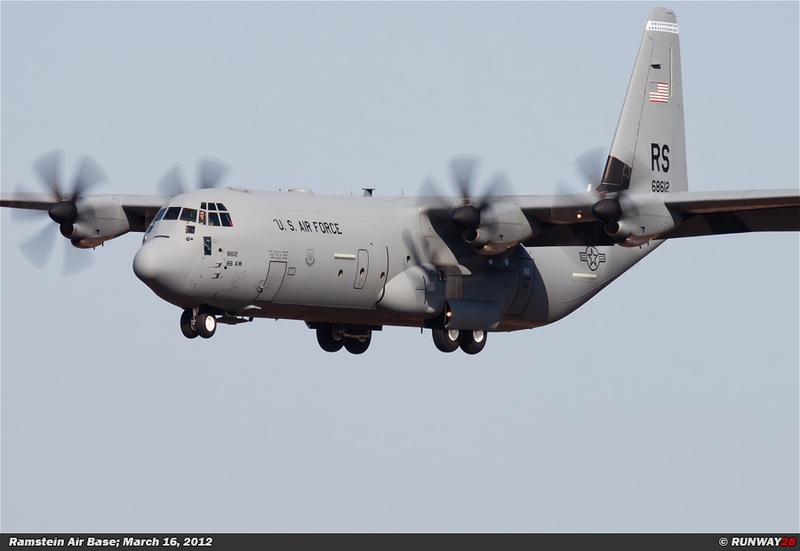 The C-130J is a comprehensive update of the Lockheed C-130 Hercules. 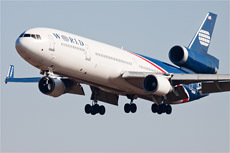 The aircraft is equipped with improved engines, a glass cockpit and other new systems. 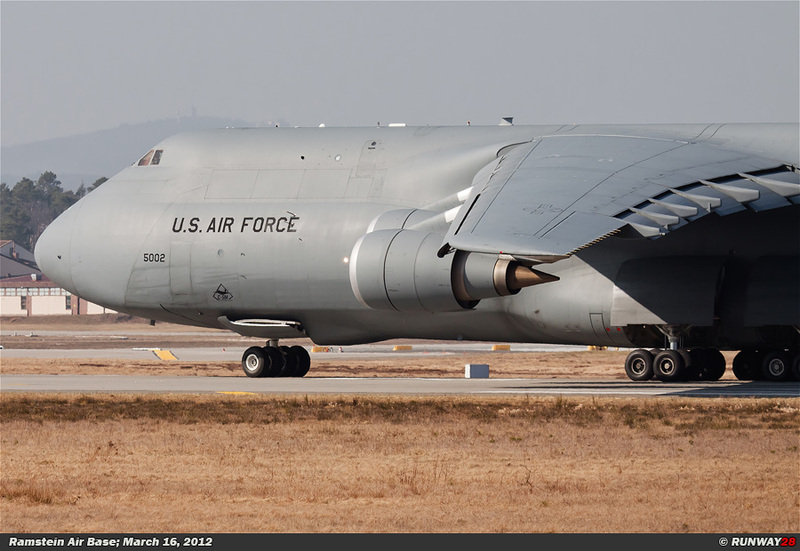 The Hercules family is one of the longest, still in production, aircraft in aviation history. 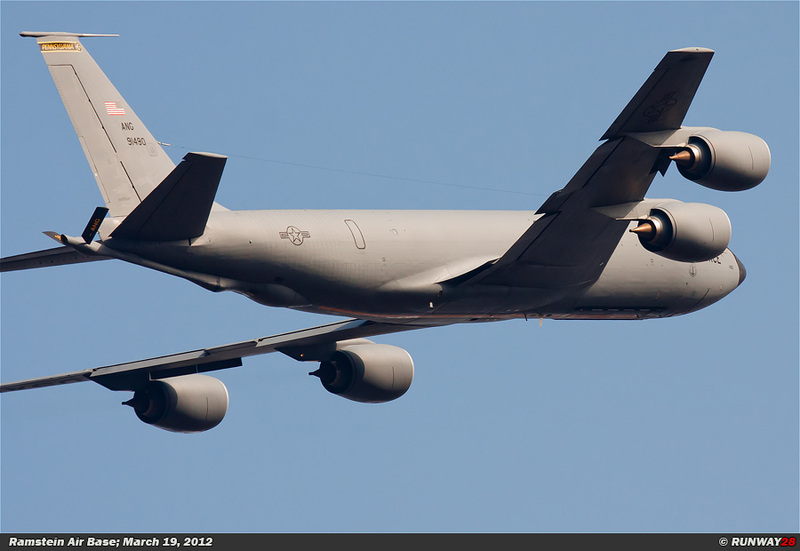 The aircraft is for over 50 years in the U.S. Air Force on active duty. 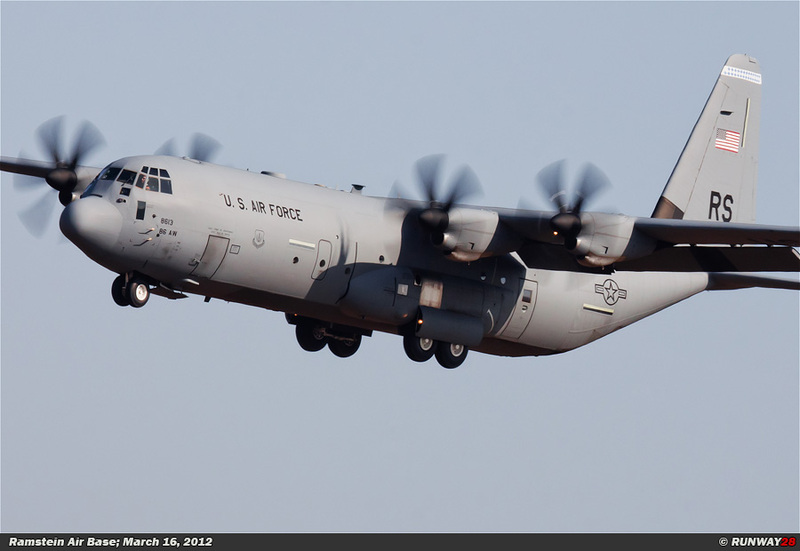 The Hercules has already survived a number of planned successors. Fifteen countries have placed orders for a total of 300 C-130Js. 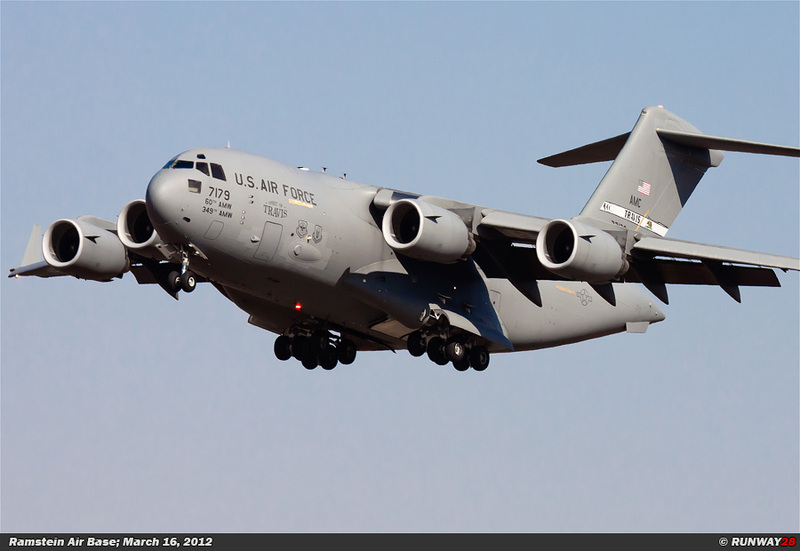 At this moment there are more than 200 aircraft from those orders delivered to end users. 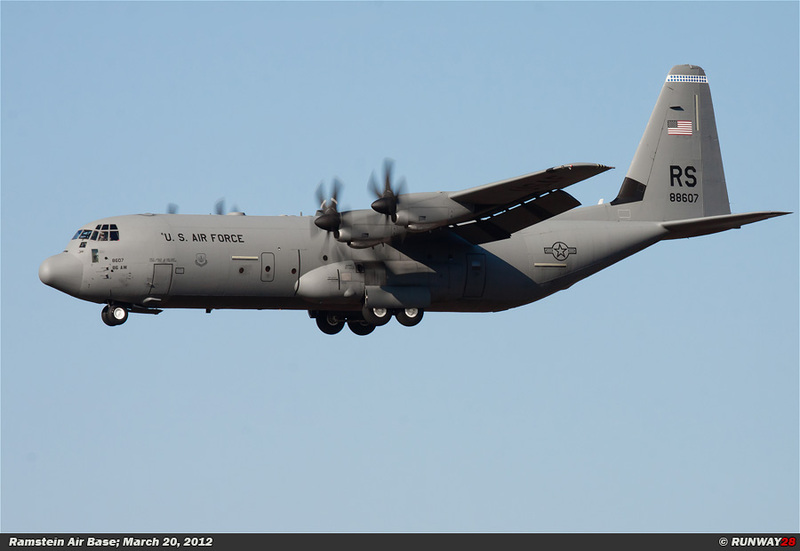 The C-130J is the latest version of the Hercules and the only model still in production. The Super Hercules is the same on the outside as the classic design. Inside, the C-130J is a totally new aircraft. The differences are in the new engines in the form of 4 Rolls-Royce AE 2100 D3 turboprops with Dowty R391 composite scimitar propellers. 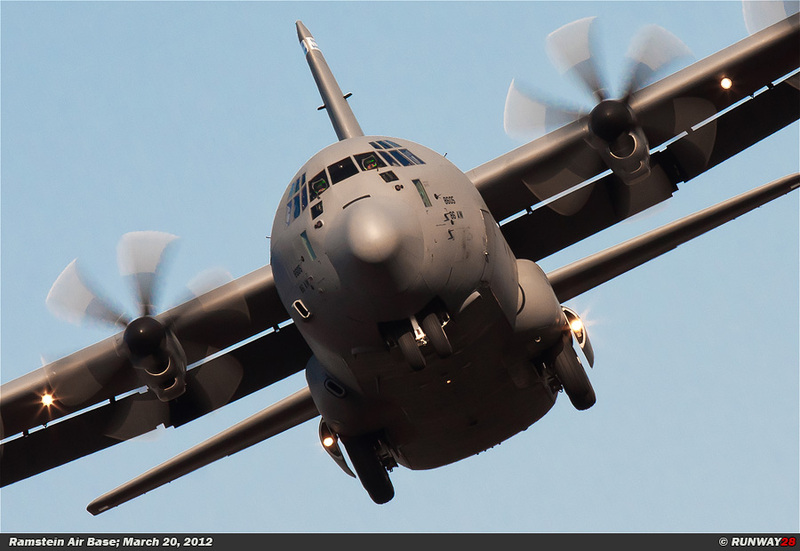 The performance of the C-130J is much better than its predecessors such as the C-130E and C-130H. 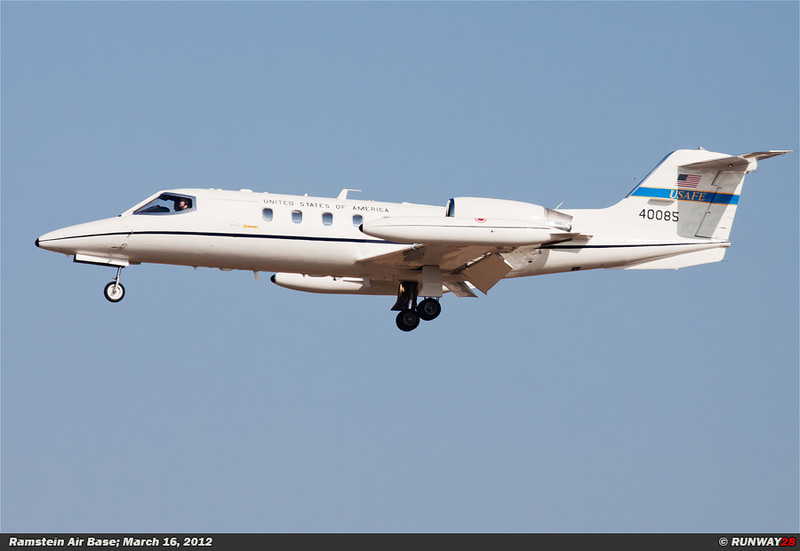 The aircraft has an improved operational flight range which is improved with 40%. 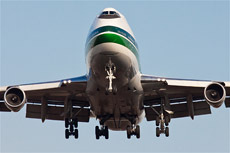 The take-off distance is reduced by 41%. 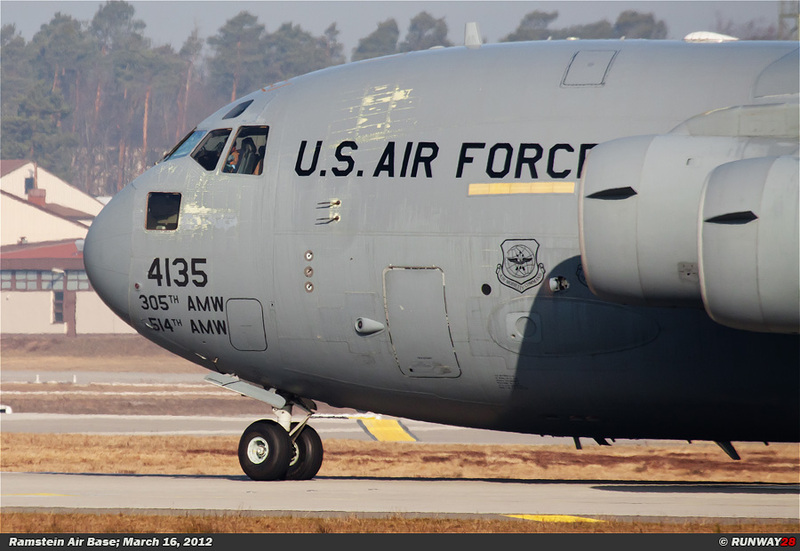 The C-130Js crew is composed of 2 pilots and 1 loadmaster. There is no navigator or flight engineer on board anymore. The United States Marine Corps uses a crew chief for expeditionary operations. 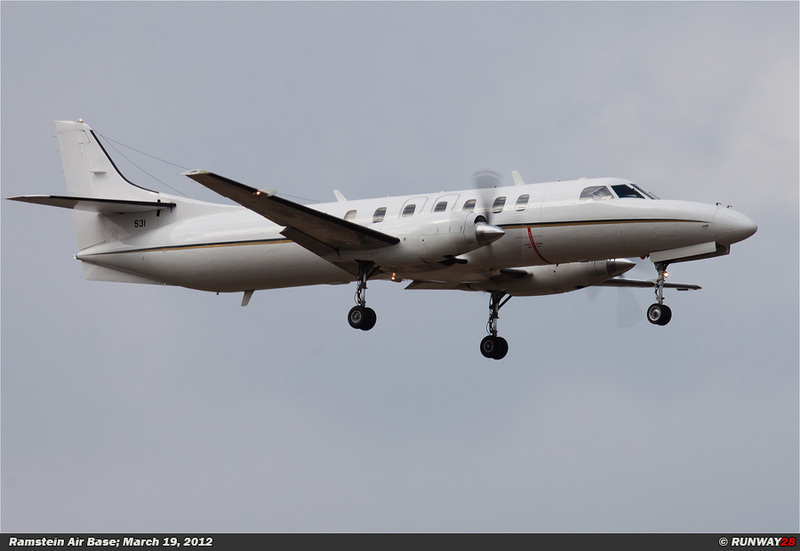 The cargo area is about 41 feet (12.5 m) long, 9 feet (2.74 m) high and 10 feet (3.05 m) wide. 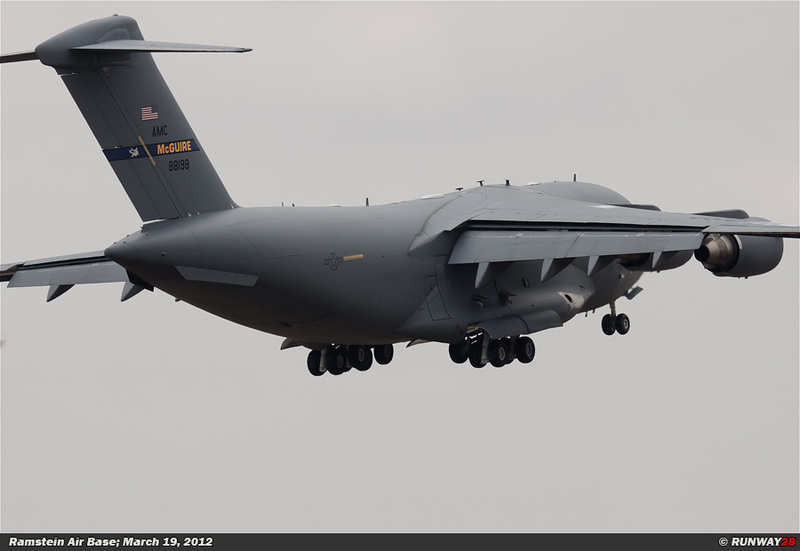 The aircraft can be configured with the enhanced cargo handling system. The system includes an automatic winch which is mounted under the floor and a flip floor system to quickly unload cargo pallets. 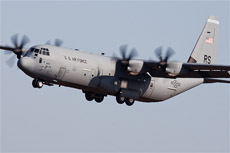 Lockheed Martin received the first order for the C-130J from the RAF. The RAF ordered 25 aircraft of this type. 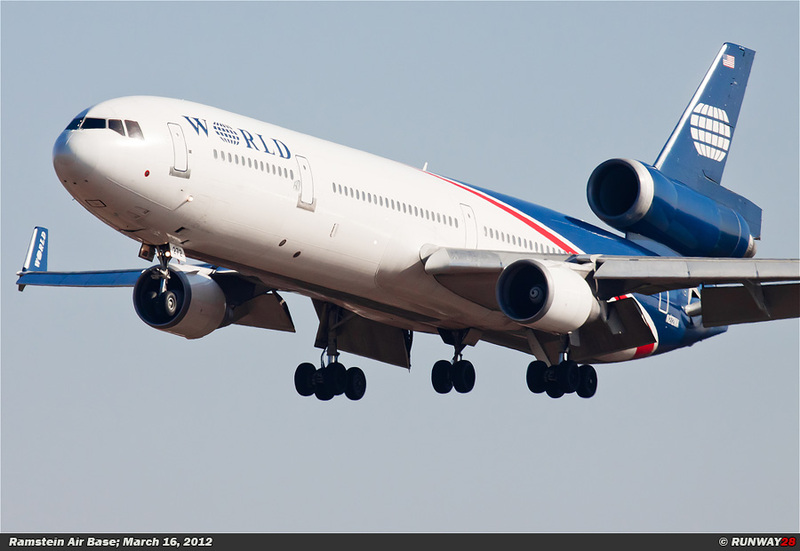 The first aircraft was delivered in 1999. 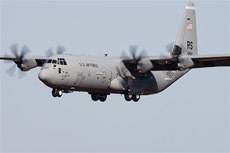 The USAF signed a contract for the supply of 6 KC-130J aircraft in June 2008. It was a contract of over 470 million dollars. The aircraft will be used by the USAF and the Special Ops Command. 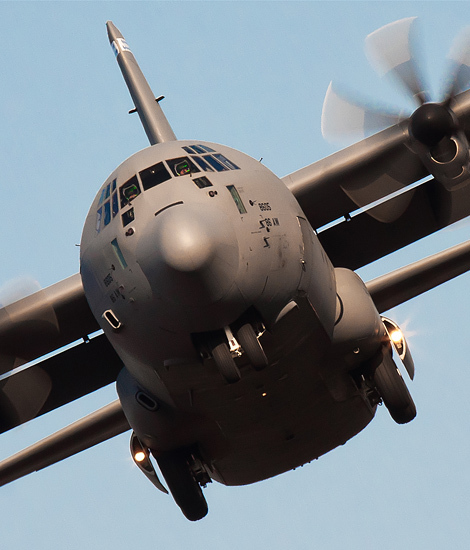 The contract led to C-130J variants which will replace the HC-130s and MC-130s. 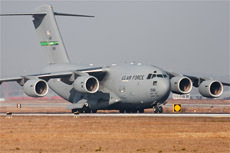 The 37 AS has 14 C-130J Hercules aircraft in service since 2009. The unit will fly these aircraft in the next 20 years. 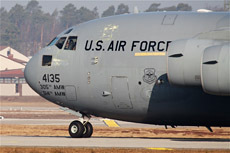 The C-130Js of the 37 AS are flying daily missions over the world from Ramstein Air Base. 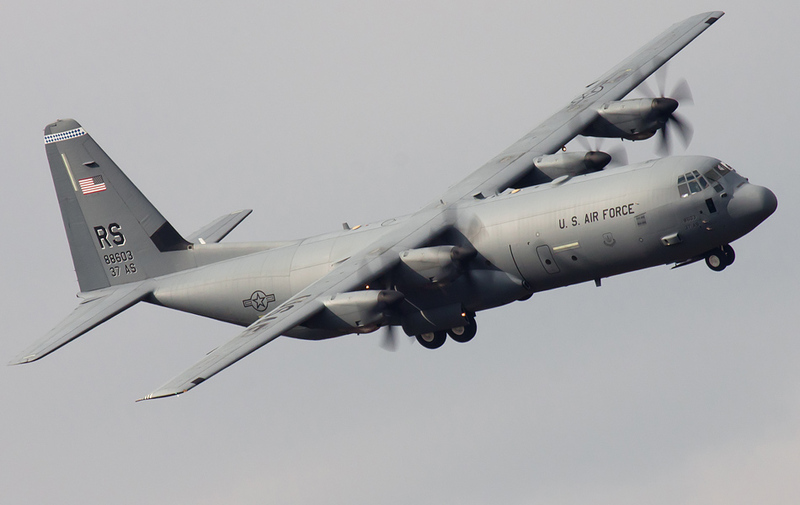 The Hercules aircraft at Ramstein are of the type C-130J-30. 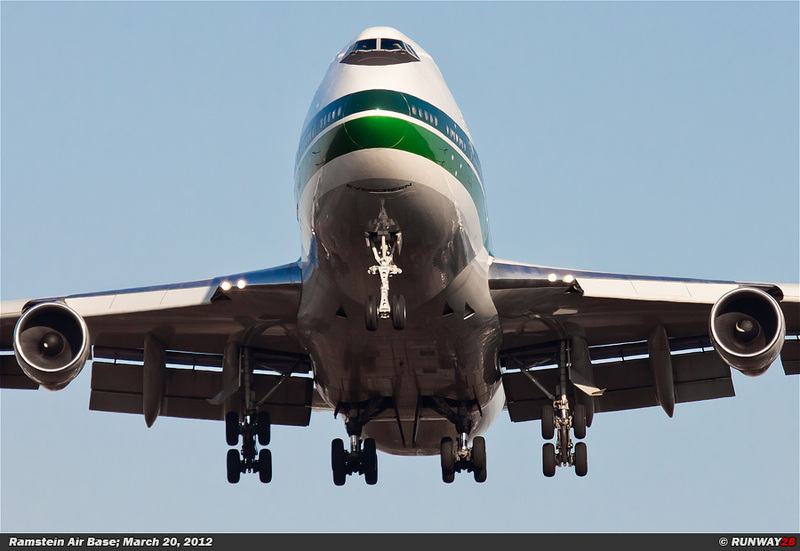 This means that the Hercules is a lot longer than the original design of the Hercules.